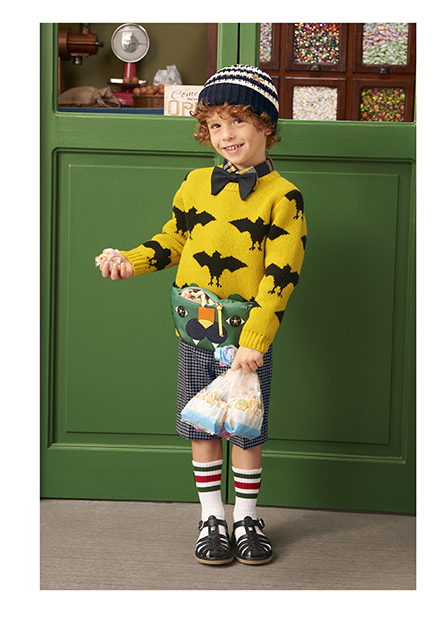 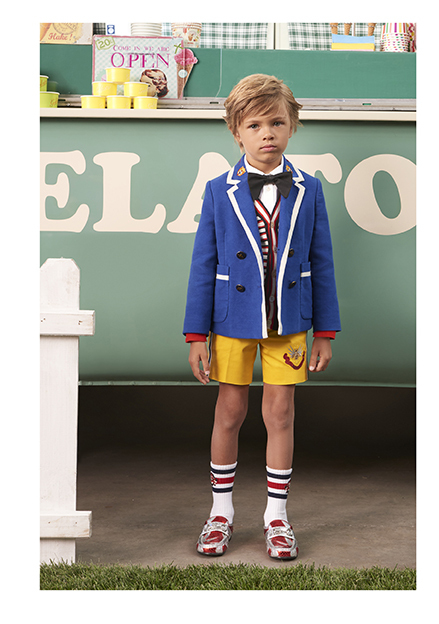 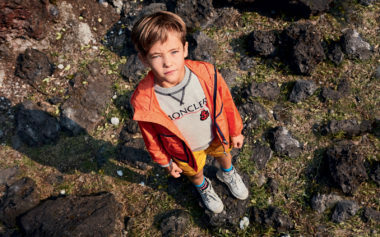 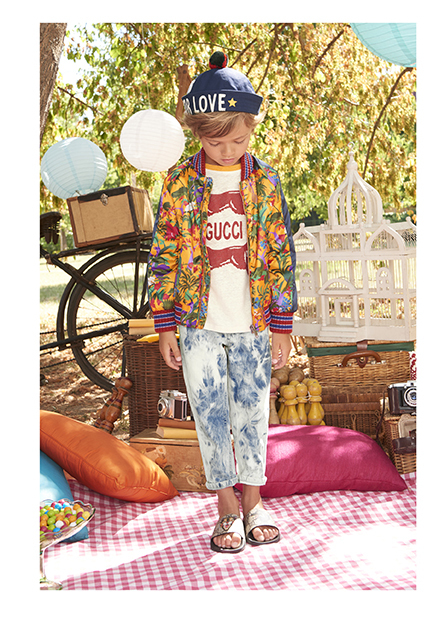 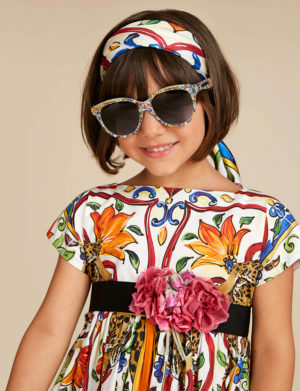 Iconic looks abound for young jet setters looking to don mini versions of grown up Gucci frocks. 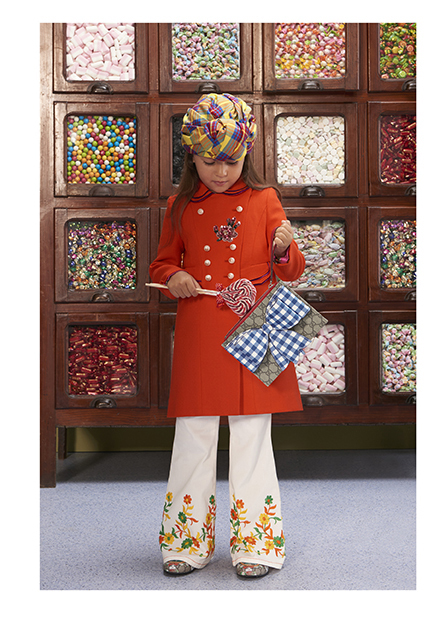 All the hallmarks one takes for granted in the adult range—smart tailoring, sumptuous textures, brilliant embroidery, and bold appliqúe—are offered up with a bit of disco days glory and a dash of grandma’s attic. 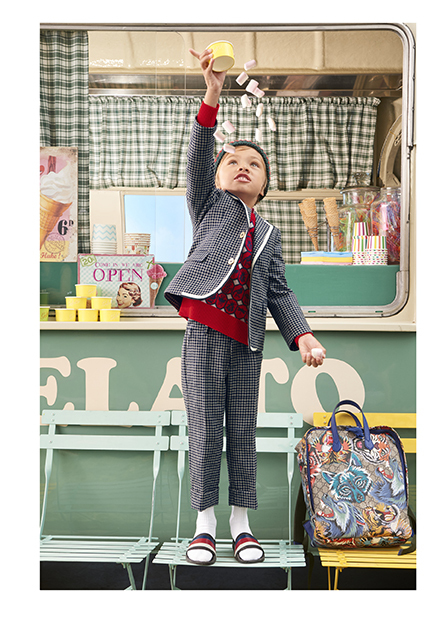 On full display are timeless classics like tulle dresses and checked schoolboy blazers balanced with sleek tracksuits and embellished bomber jackets, all reinterpreted for wild ones in silhouettes made for free roaming of their rarified worlds. 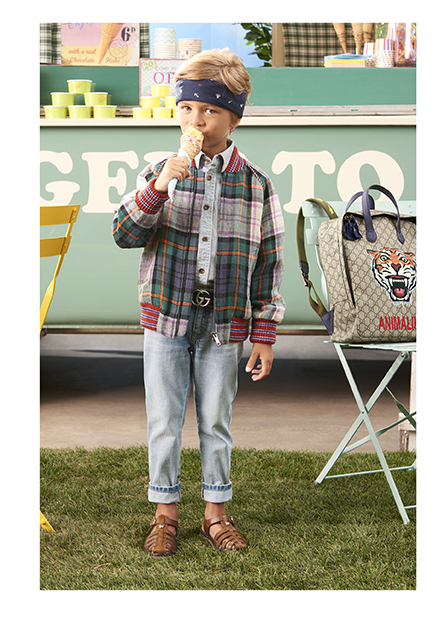 Key motifs include achingly beautiful florals, vintage plaids, and a heavy dose of charismatic megafauna—regal tigers and ferocious wolves roar right alongside their more quotidian counterparts: cats, bats, and butterflies.